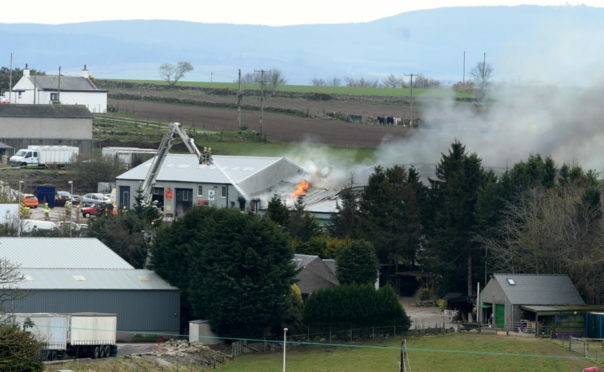 The fire at a warehouse building at Smiddy Brae, Skene Road, A947 near Westhill. UPDATE 5.35pm: It is understood the fire is now under control. 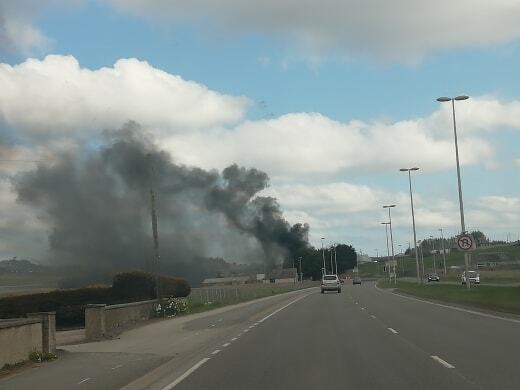 UPDATE 3.35pm: Police have closed the A944 while they assist fire crews with the ongoing fire. The incident happened at around 2.22pm at Smiddybrae Works on Skene Road, adjacent to the Westhill A944 Aberdeen Western Peripheral Route junction. The fire on Skene Road. Picture submitted by Callum Inate. Gas canisters have been located inside the property and as a precaution a 200m police cordon is in place. 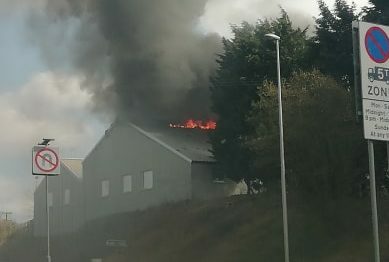 Fire on Skene Road, Aberdeen. The fire on Skene Road. Picture submitted by Callum Inate. It is not known how many fire crews are on the scene, or if anyone is injured.